When do you know that the Iran deal is bust? when Israel endorses it! The surest sign yet that the Iranian nuclear deal is in deep trouble is its endorsement by Israel’s prime minister, Benjamin Netanyahu. “A positive first step,” Mr Netanyahu called the deal. This was in marked contrast to his own defence minister, Ehud Barak, who complained earlier that the agreement accorded Iran “legitimisation for enriching uranium for civilian purposes on its soil, contrary to the understanding that those negotiating with it have about its real plans”. Mr Barak and Mr Netanyahu march in lockstep when it comes to Iran. The reason for their apparent disagreement is simple. Mr Barak dismissed the proposed deal when it looked as if Iran might accept it. Mr Netanyahu’s approval came only after Iran’s response was interpreted by the western powers as a “no”. ..... The breakdown arose precisely because the two sides remain committed to mutually exclusive objectives. The more hawkish elements in the western camp, along with Israel, insist that Iran cannot be allowed to continue enriching its remaining uranium, even for energy purposes, because this would give it the means to move quickly to build a bomb. Tehran, on the other hand, saw the agreement as tacit acceptance of Iran’s right to enrichment. So when Mr Netanyahu spoke of a “first step”, he meant a first step towards ending all enrichment in Iran – which is what Iran feared. When details of the agreement began to emerge, the Iranian president, Mahmoud Ahmadinejad, faced a torrent of domestic criticism – and not just from Iranian conservatives. Mir Hossein Moussavi, the leading opposition presidential candidate who claims Mr Ahmadinejad stole the election, cautioned that accepting the Vienna deal would be “putting the efforts of thousands of scientists to the wind”. ..... As a result, it has responded to the draft agreement with counterproposals that weaken the core western objective, which is separating Iran from most of its current nuclear stockpile – because Tehran sees that as a trap. Iran now proposes to deliver its uranium for enrichment abroad in smaller instalments over a longer period, and insists that it be supplied with reactor fuel first. ............ the more focused the stand-off becomes on the issue of getting Iran to hand over most of its stockpile quickly, the more likely Tehran is to dig in its heels; it would be, as Mr Netanyahu puts it, “an important first step”, but in what Iran considers the wrong direction. The Vienna deal could collapse under the weight of the larger question that it tried to sidestep: whether Iran will maintain its uranium enrichment capability as part of its nuclear energy programme. Negotiators purposely avoided discussing Iran’s non-compliance with UN Security Council resolutions on suspending enrichment, or western demands that it give up on the very idea of enriching uranium as part of its nuclear programme, but it is the two sides’ differences on that issue that lie at the heart of the stand-off over the Vienna deal. Having hailed the deal as a breakthrough that promised to clear out Iran’s stockpile in short order, the Obama administration now faces the reality that it’s not going to be quite so easy – and the likelihood that no diplomatic solution will be found that satisfies the western “no-enrichment” starting point. In what is fast become a familiar experience, Mr Obama may soon be forced to choose between accepting a compromise short of victory, or going down a road of escalating confrontation with uncertain outcomes. 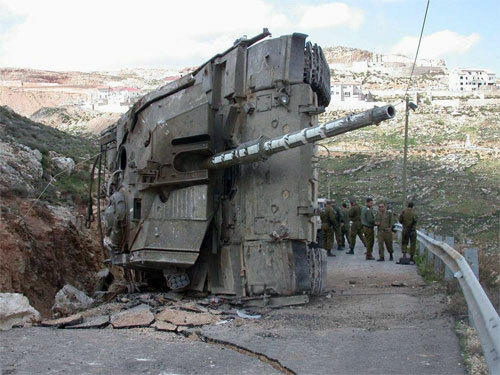 "... Halutz's hubris did damage in Lebanon ..."
"Minister for Strategic Affairs Moshe Ya'alon said Saturday that the IDF Chief of Staff who replaced him, Dan Halutz, made a number of serious mistakes during the Second Lebanon War. "What happened with Dan Halutz was a tragedy. He was an excellent chief of the IAF and deputy chief of staff. But it was his hubris that did most of the damage in Lebanon," Ya'alon said during a cultural event in Beersheba. He stressed that IDF officials must remain humble. "We as generals need to maintain our humility and know our limitations," Ya'alon added. He said leadership based on setting a personal example was the best way to foster trust. "But officers in the army see only corrupt political leadership. When there is no personal example, it trickles down into the army," the former chief of staff said. Ya'alon added that Operation Cast Lead should have taken place sooner than it had. "I believe that offence is the best defense. In military operations today, we must transfer the dilemmas to the other side so it can consider whether to continue its provocations or not," he said. Ya'alon also spoke about Turkey, and said Israel was keeping track of its policies with concern. "Their tendency is to look eastward, to Iran and Syria. This necessitates an analysis of the situation on our part," (Read: bite the bullet & shut up!) he said." "Abbas has no intention of going down in history as the man who legitimized the permanent and possibly fatal division of the Palestinian independence movement. But he has called an election for January that could be a nail in the coffin of Palestinian unity, assuming his Islamist political rivals in control of the Gaza Strip are serious about their threat to ban the vote on their territory. The outcome of an election held in the West Bank but not in the Gaza Strip would be "worse than the two Koreas," said Zakaria al-Qaq, an expert on national security issues. "Here we would see a total rupture for a long period of time," Qaq said. Gaza would be cut off and the West Bank would end up as little Gazas, with "transportational continuity rather than territorial continuity." So why would Abbas take such a gamble? ...Analysts said Abbas has made Palestinian unity his priority goal and chosen the election deadline as his strategy. He is using it to persuade Hamas to make peace with the Fatah movement and end the deep split in Palestinian ranks. If Hamas still reject a deal, Abbas can condemn them for putting their factional interests above those of 4 million Palestinians, but he will have to live with the ramifications..."
After three days of encounters with America-bashing Pakistanis -- who rejected her contention that the U.S. and Pakistan face a common enemy -- Secretary of State Hillary Clinton said Friday that "we're not getting through." Prominent women and tribesmen from the North West Frontier Province delivered the same hostile message that she'd heard the two preceding days from students and journalists: Pakistanis aren't ready to endorse American friendship despite an eight-year-old anti-terrorism alliance between the countries and a multi-billion dollar new U.S. aid package. Clinton put her case directly to the public Friday in televised appearances in Islamabad, the Pakistani capital, fielding angry questions about the alleged activities of U.S. contractor Blackwater in Pakistan, the tough conditions that came with a $1.5 billion-a-year American aid package and alleged U.S. favoritism toward Pakistan's archenemy, India. While Pakistanis are opposed to religious extremists, polls have shown a general refusal to acknowledge that al Qaida and its allies are directing the bloodshed. "There is a war going on" was the justification Clinton offered for the missile strikes on suspected militants, saying she couldn't comment further as it was a military-to-military issue..."
"Lebanon is one arena where US policy goals do not seem to be advancing ..."
[The thoughgt inside the beltway is that] political upheaval as a constant, a number of US officials believe that now is the time to press Teheran. "This is a deeply split regime," says one European analyst, echoing the views of key US officials. "Put simply, the moderates want to reach out to the international community in order to legitimize their rule at home. The radicals fear such an outreach will further weaken the regime." While no official speaks of a simple approach to bring around Iran, their is wide spread agreement that pressure on a number of fronts could have an effect. ... With little prospect of enticing Russia or China into the group, the option of another UN Security Council resolution has faded from discussions. However, other countries, which usually await a UN imprimatur, such as South Korea, Saudi Arabia and Kuwait, now seem prepared to join the effort. Even those impatient with this approach, credit the Administration with focusing on Iran in a way that the Bush Administration, for all its bombast, did not. France, under the personal direction of President Sarkozy, has been openly pressing the US for action and appears satisfied with what it has heard so far from Washington. Even the Israelis, who have been clamoring for US-led international action for more than a decade, see the Administration moving in the right direction. Dennis Ross, who moved over from the State Department to be the senior advisor to the President on this and other Middle East issues, clearly is taking a hard line role. Administration insiders say that Ross is also becoming more deeply involved in Arab-Israeli peacemaking. Until now, under the exclusive purview of Special Envoy George Mitchell, the White House now appears to have changed direction somewhat. Having been defied by Israeli Prime Minister Netanyahu on its insistence that he freeze all new settlement activity, the Administration, while not discounting this issue's importance to the Arabs, is said to be focusing on the underlying Arab demand -- a return to pre-1967 borders as a basis for restarting negotiations. Since the Israelis and Palestinians have privately come tantalizingly close to a border agreement (the key issue of Jerusalem excepted and land swaps for areas in the West Bank densely populated by Israelis), this seems to a number of Administration insiders as a good place to start. Ross, who spent the better part of a decade deeply involved in this issue had been kept at a distance by Mitchell and his team. Now, however, with ideas once backed by Ross, such as holding multilateral talks as an alternative means of engaging Arab states, notably Saudi Arabia, in the process, a number of State Department officials already see the seeds of competition between Mitchell and Ross [A development unwelcome in the Arab world, where Ross is looked upon as too sympathetic to Israel]. "They are trying to turn this into a negotiation," said a European diplomat with knowledge of Iran's response to the agency. "But it makes no sense to do it in this way. Their response is unacceptable." However, Washington responded cautiously to Tehran's move, noting that it awaited "clarification of Iran's response" rather than threatening sanctions or condemning the Islamic Republic for its failure to sign up to the draft deal. "We remain unified with our Russian and French partners in support of the IAEA draft agreement - it is a good and balanced agreement," said the US, signalling Washington's hope that Iran could yet agree to the original deal.The comments indicate the US remains more willing to show patience than either Britain and France.. While London and Paris have at times made known their reservations about the agreement, it is seen in the US as a test of President Barack Obama's policy of engagement..."
U.S. Secretary of State Hillary Clinton signaled on Friday that the United States will allow talks with Iran over its nuclear program to play out before considering fresh sanctions against Tehran. Iran on Thursday proposed changes to a U.N.-drafted nuclear fuel deal, making demands that seemed to challenge the basis of the agreement with the United States, France and Russia. Asked during a CNN interview whether it was time to stop talking with Iran and move toward sanctions, Clinton said: "We are working with the IAEA (the U.N. International Atomic Energy Agency), with France, Russia ... who are all united and showing resolve in responding to the Iranian response and seeking clarification. So I'm going to let this process play out." 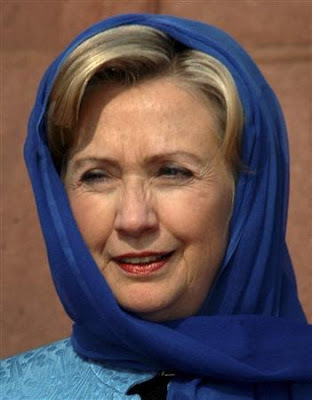 Clinton did not say under what conditions the United States would consider fresh sanctions against Iran. The Iranian pro-government daily Javan said on Thursday that Iran wanted shipments of low-enriched uranium -- for conversion abroad into fuel for a Tehran research reactor -- to take place in stages, not in a single consignment. It also wanted simultaneous imports of higher-enriched fuel from other countries for the same plant. "Weapons and democracy cannot coexist," said Nasrallah Boutros Sfeir, patriarch of Lebanon's Maronite Church, in an interview to Lebanon's al-Massira (Gea'gea's Lebanese Forces) magazine to be published on Saturday. During the interview, conducted on Thursday, Sfeir lashed out at Hizbullah, maintaining that the Shi'ite organization threatened Lebanon's security and stability. "Someone on the inside is leaning on exterior force to attain parliamentary and ministerial gains," the patriarch was quoted as saying, suggesting that Hizbullah was undermining Lebanon's efforts to establish a national unity government. 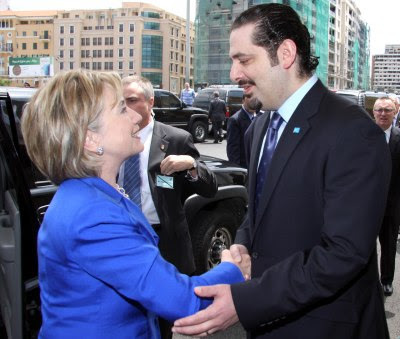 By carrying out the wishes of foreign parties, using illegal arms and terrorizing the state and its people, he said, Hizbullah was effectively jeopardizing Lebanon's already-shaky sovereignty under the guise of legitimate political activity." "From the Israeli point of view the chief concern has to be what will come out in court..."
"Nozette will have a hearing in federal court soon on the issue of bail. He should not be given bail. He stated to a colleague" that he would flee if faced with imprisonment over his earlier coviction for false billing of the US government in contracts that his "not for profit" business had obtained. He also had cached $50,000 worth of gold coins in a California safe deposit bank against an "emergency." He will run if given a chance. Mr. Ahmadinejad’s comments, broadcast on state television, came as Iran prepared to deliver a formal response to the plan, which was designed to bridge the gap between Iran’s insistence that its nuclear program is for civilian purposes and the West’s suspicion that it is building a bomb. Iran’s state-run Al Alam Arabic-language television station reported Thursday that Tehran had delivered its formal response to the proposal to the United Nations’ International Atomic Energy Agency in Vienna. But officials there said they could not immediately confirm the report. Earlier this week, Iran said it would respond to the plan by Friday. .......Mr. Ahmadinejad’s comments put a more positive spin on the plan than he has in the past. “Fortunately, the conditions for international nuclear cooperation have been met,” Mr. Ahmadinejad said. "We are currently moving in the right direction and we have no fear of legal cooperation, under which all of Iran’s national rights will be preserved, and we will continue our work." He also insisted, as he often has, that Iran would not retreat from its rights to nuclear power..."
"... Washington has viewed the Islamic regime in Iran as an inveterate foe, if not an outright enemy, for almost 30 years, although President Barack Obama is clearly less hawkish on Iran than former President George W. Bush. particularly in the nuclear energy sector. In addition, many in the Kremlin view Iran’s anti-U.S. stance is an added bonus, particularly as Russia tries to counter Washington’s global influence. China is even more favorably disposed toward Iran. Unlike Russia, China has never been at war with or even disagreed with Iran. .......Traditionally, China has always supported and defended any country that feeds its voracious appetite for energy, including Sudan. 1. They are needed to guarantee national security. A former high-ranking U.S. diplomat once explained to me why the United States and NATO bombed Yugoslavia for violating human rights, but not China. “Because China has nuclear weapons,” he said. Iranian leaders know this basic rule of international relations very well. 2. They would propel Iran to the position of regional superpower in the Middle East, and perhaps beyond. 1. The United States takes concrete steps to establish full-scale, normal relations with Tehran. Washington should provide Tehran with an array of security, political and economic incentives to dissuade Iran from joining the nuclear club. 2. The United States, Russia and other nuclear powers should prove to Iran that they are ready to move toward complete nuclear disarmament in agreement with the Nuclear Nonproliferation Treaty of 1968. Iran will ever step down from its desire to acquire nuclear weapons. That term again ... by two Egyptians who are repulsed of it all, for the sake of moral clarity, of course! .... Ms. Fouad dismisses any distinction between Jews and Israelis, the reason for which is "the extremity of the doctrine of arrogance, distinctiveness and condescension [the Jews] set out from and seek to achieve by all means, and on top of which blood, killing, terrorizing and frightening." She corroborates this argument with an alleged statement by "President" Benjamin Franklin, asking Americans to expel Jews since they are "like locusts, never to get on a green land without leaving it deserted and barren." Needless to say, Franklin never made any such statement. Nor is Ms. Fouad some kind of outlier. Take Ayman Nour, who contested the 2005 presidential election under the banner of his own party and was subsequently jailed for nearly four years. Immediately after his release earlier this year, he attended a celebration organized by opposition groups—including the Muslim Brotherhood—in the northern city of Port Said, commemorating "the first battalion of volunteers from the Egyptian People setting off to fight the Jews in 1948." The word "Jews" was stressed in bolded black lettering on the otherwise blue and red banner hanging above the conference panel. Yet far from trying to distance himself from that message, Mr. Nour got into the spirit of the conference, talking about "the value of standing up to this enemy, behind which lies all evils, conspiracies and threats that are spawned against Egypt." .......anti-Semitism remains the glue holding Egypt's disparate political forces together. This is especially true of the so-called liberals, who think they can traffic on their anti-Semitism to gain favor in quarters where they would otherwise be suspect. "A new report presented to Israeli parliamentarians has found that despite decades of government attempts to ensure a Jewish majority in Jerusalem, Palestinians will make up the majority of the city's population within 20 years. 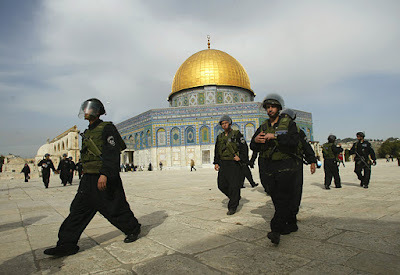 "It has been Israeli policy to try guarantee a Jewish majority and generate a Jewish hegemony in Jerusalem since 1967," Dr. Roby Nathanson, Director of Israel's Macro Center for Political Economics and editor of the report, told The Media Line. "Israel has annexed huge parts of Jerusalem, enlarged the boundaries of the municipality, taken lots of land in the eastern part of the city and built more than 50,000 housing units on this land exclusively for Jews. ""Yet despite all these policies, it has not changed the demographic balance of the city," Dr Nathanson said. "Indeed the number of Palestinians living in the city has grown constantly and Palestinians will soon make up the majority of the residents in Jerusalem." Dr Nathanson argued that against Israel's intentions, the separation barrier had increased the Palestinian presence in the city. "Paradoxically, as a consequence of the fence, Israel had to include different neighborhoods in the eastern part of the city into the municipal boundaries, thus increasing the Palestinian population even more." Dr Nathanson said Israel was attempting the impossible. "You cannot create a demographic majority artificially, and this is what the Israeli government is trying to do," he said. "You cannot force a solution - you cannot force the Palestinians to leave the city and you cannot force a million or so Jews to come settle in the city - you have to look at the reality and make the best out of it. ""You have the Palestinian side of the city and the Israeli side of the city," Dr Nathanson added. "The city is not divided but there is a kind of a glass wall between both parts. It's invisible but it is there and everybody knows that." "... The debate reflects a lack of confidence in Tehran about US & Israeli intentions ..."
Direct U.S.-Iranian negotiations in Geneva and Vienna this month over Iran's nuclear program demonstrate something very positive about the prospects for U.S. diplomacy with Iran: When given the chance to engage directly with the United States, Iran will take that chance and pursue negotiations in an active and constructive way. This does not mean that Iran will automatically give the United States what it wants. But it does mean that Iran will approach negotiations with the United States in a rational manner grounded in Iranian national security interests. This should not come as a surprise: It is how Iran has approached previous episodes of engagement with the United States -- including two years of extremely constructive official talks between the U.S. and Iran over Afghanistan and al Qaeda, following the 9/11 attacks (talks in which I directly participated). Now that Tehran has asked for an extension of the deadline for its response to a proposal to ship most of Iran's low enriched uranium out of the country for fabrication into fuel rods, it is important to remember Tehran's history of pragmatic cooperation and avoid distorting events or overreacting. Many commentators in the United States and Israel are attributing the delay to political divisions in Tehran stemming from the June 12 presidential election. Others are describing the delay as "typical" Iranian negotiating behavior: like rug merchants haggling in the bazaar. But these characterizations are misleading. Iran had originally proposed to refuel the Tehran research reactor through purchasing fuel assemblies from international providers, including the United States -- in fact, involving the United States was Iran's idea of a confidence-building measure. There was a clear consensus within the Iranian leadership in support of this proposal, with President Mahmoud Ahmadinejad speaking about it publicly. The United States responded with interest to Iran's initiative but proposed, instead, that Iran ship most of Iran's low enriched uranium stockpile outside the country for fabrication into fuel rods for the reactor in question. This proposed deal meets Iran's need for fuel at the Tehran research reactor but would also address, at least in the short run, international concerns about Tehran's accumulation of fissile material. In some respects this might be a good deal from an Iranian perspective, and Tehran may yet agree to it. However, there are two potential flaws. First, Iran's experience of prior cooperation with international actors on its nuclear program has been disappointing. During the 1970s, Iran invested more than $1 billion to build a French reactor which was contractually supposed to guarantee Iran access to that reactor's fuel. But, when the Islamic Republic was established, France reneged. (Khomeini 'triggered' his revolution from a French suburb!) Now Iran is being called on to trust France, again, to return its fuel. Second, at Iran's current production rate for low enriched uranium, it would take Tehran nine to 12 months to replenish the uranium that would be sent out of the country under this deal. For serious national security planners in Tehran, whether they like Ahmadinejad or not, this is potentially problematic as it leaves almost a year's window of increased vulnerability to an Israeli or U.S. military attack. In Tehran, views are split, and it has nothing to do with reformists vs. hardliners, or the pro-Ahmadinejad camp vs. the anti-Ahmadinejad camp. It has to do with lack of confidence about U.S. and Israeli intentions toward the Islamic Republic as it is constituted, rather than as we wish it to be. A "Pro-West" Mufti in Lebanon! "On October 25, the Lebanese News Agency reported: "In a statement today, 25 October, Shaykh Muhammad Ali al-Juzu, mufti of Mount Lebanon, said: "Israel is America and America is Israel. The Zionist lobby in America, and not the US President, is the one ruling America. The US president is only a number in the US Administration." He said: "Since Clinton, America has been waving the two-state solution without implementing it because the Zionist lobby did not allow this. This is what happened to Bush and what is happening to Barack Obama. They all wear the Zionist cap on their heads, and each one of them puts his head between the hands of the Zionists to turn it as they want. That is why we saw Netanyahu challenge Obama and not accept his desire to halt the construction of settlements. Mitchell's trips to Israel, the West Bank, and Ramallah are only a smokescreen. ""Mufti Al-Juzu went on: "The whole US Sixth Fleet came yesterday to flex its muscles to the countries in the region, especially Iran. It came with its advanced, sophisticated weapons in confrontation of the Iranian ballistic missiles on the borders of Lebanon and in Tehran. Despite the fact that Iran has been tempted by its current power to challenge the Arab and Islamic nation, so it started inciting the Shi'is against the Sunnis all over the region; Iran is trying to interfere in the internal affairs of the countries of the Arab world; and Iran is committing many mistakes, especially in Lebanon - despite all this, we do not accept threatening it by Israel with the US missile shield and we do not accept this absurd, racist show by America. Despite all the mistakes made by Hezbollah in Lebanon and in the region, we do not allow Israel or America to attack Iran or to threaten Lebanon on the pretext of the existence of the Iranian missiles on its borders. ""...If America's claim that Al-Qa'idah is the one that was fighting America on the land of Iraq, then this means that Bin Ladin has achieved victory over the US army and that terrorism is becoming stronger and America is becoming weaker. Therefore, we tell America: Stop making these threats to the Arab and Islamic world. The tiger in Iraq has turned into a 'cat.' The peoples of the Arab world, despite its weakness and fragmentation, can defeat America and defeat Israel in the end. 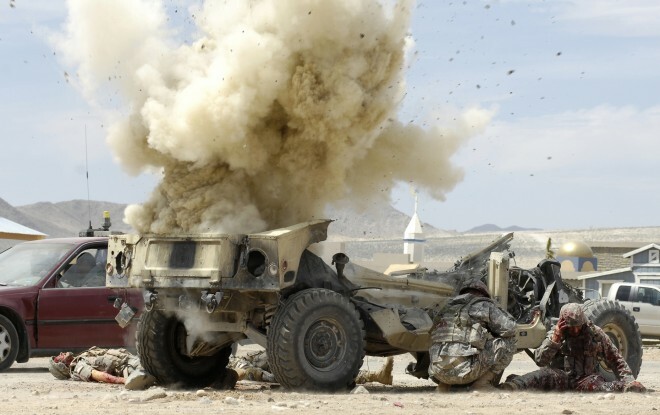 We tell America: Stop committing brutal crimes in Afghanistan. Stop committing massacres in Pakistan. Stop supporting Israel by all means of international terrorism. The end of America is coming, God willing. ""He added: "Had it not been for Iran's fatal mistakes and had it not been for its adoption of the approach of sectarian discrimination and racial and ethnic incitement against the Arabs, we would have all stood behind it in the face of the US-Israeli threat. Iran should repent. It should, once again, heed reason and wisdom with its Arab neighbours - and I am not saying its brothers in Islam - because Iran's understanding of Islam differs from our understanding of it. Its understanding is based on historical hostility, sectarian enmity, and rancour against the Arabs. This prompts it to play this negative role in our Arab arena. This role serves Israel and America, weakens Iran and cancels the power that it claims."" 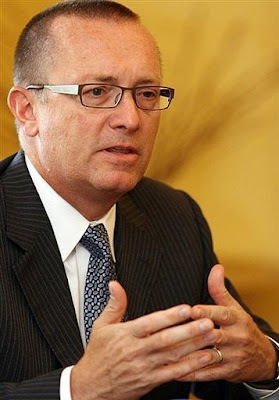 Jeffrey Feltman hopes for a cabinet "in the coming days"
"The United States hopes that Lebanon's political factions will agree on a cabinet "in the coming days" and looks forward to working with the new government, a top US diplomat said Wednesday. "Expectations are currently high that a cabinet could be announced within the coming days. We certainly hope this is the case," said Jeffrey Feltman, acting US assistant secretary of state for Near Eastern affairs. "The Lebanese people have waited too long for their government to return to the work of ensuring security, economic development, and political dialogue for all Lebanese citizens," said Feltman. "We look forward to working with the next Lebanese government and reiterate that our support for Lebanese sovereignty will not be compromised by our engagement with any other party," said the diplomat...."
"Ahmed Wali Karzai, the brother of the Afghan president and a suspected player in the country’s booming illegal opium trade, gets regular payments from the Central Intelligence Agency, and has for much of the past eight years, according to current and former American officials. The ties to Mr. Karzai have created deep divisions within the Obama administration..... The C.I.A.’s practices also suggest that the United States is not doing everything in its power to stamp out the lucrative Afghan drug trade, a major source of revenue for the Taliban. "... The Yemeni central government has not commented but officials have long accused the rebels of receiving Iranian support, a claim Tehran denies. ...Last week Yemeni President Ali Abdullah Saleh alleged that captured rebels had confessed their funding came from Iranian dignitaries. But he said he did not accuse the Iranian regime itself. The AFP new agency quoted a local Yemeni official saying that from preliminary enquiries, five of the Iranians captured on Monday were "instructors" who had planned to deliver weapons and then evacuate wounded Iranians. The rebels, known as Houthis, say they want greater autonomy and an public role for their version of Shia Islam. They complain their community is discriminated against. They accuse Saudi Arabia of supporting Sanaa and last week said they had clashed with Saudi forces along the border between the two countries. .."
"The defense bill President Barack Obama will sign into law on Wednesday contains a new provision that would pay Taliban fighters who renounce the insurgency, Senate Armed Services Committee Chairman Carl Levin said on Tuesday. 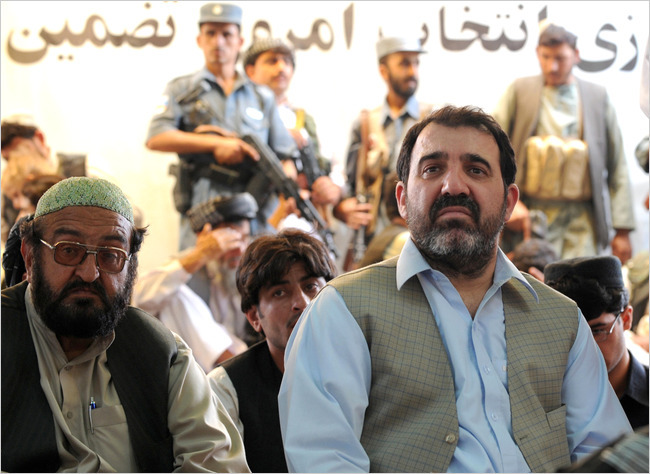 Afghanistan Strategy: "..stop short of an all-out assault on the Taliban..."
radical members of the Taliban..."
"... The rocket hit an open field near Kiryat Shemona and caused no casualties. 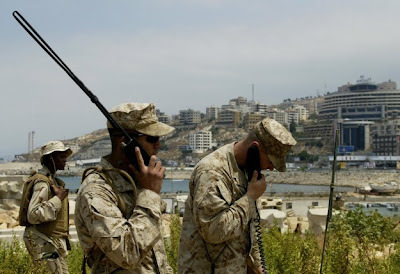 A Lebanese security official confirmed that the rocket was fired from the Houla village in southern Lebanon, near where the United Nations has investigated Lebanese charges that Israel planted spy devices then subsequently exploded them last week. ..."We have nine years of quiet in the north that were interrupted for a number of painful weeks for the Second Lebanon War," the defense minister said, referring to the month-long war against Hezbollah guerillas. "We are preparing for all other possibilities, including the possibility that they will subject the towns of the north to another test." For Washington, the conference represents the beginning of a sensitive two-year period of elections and potential political transition in a key Arab ally. The Obama administration has made it clear that it is not weighing in on succession and will not press for political reform in Egypt any time soon. (aka. weighing in in favor of Gamal') As U.S. ambassador to Egypt Margaret Scobey recently said, "This is a 100 percent Egyptian issue and it is entirely left to the Egyptian people to decide." But the absence of U.S. involvement in the coming transition does not obviate U.S. interest in a transparent process. While the administration has largely distanced itself from the democracy promotion agenda in Egypt, Washington has an abiding interest in the popular legitimacy of the Mubarak regime..."
"Iran wants major amendments within the framework of a U.N. nuclear fuel deal which it says it broadly accepts, a move that could unravel the plan and expose Tehran to the threat of harsher sanctions. Al Alam said Iran would "agree to the general framework of the draft proposal but will request some important amendments. "It did not elaborate on the changes Tehran would seek to the draft agreement ElBaradei hammered out in consultations with Iran, Russia, France and the United States in Vienna last week. But senior lawmakers have said Iran should import foreign fuel rather than send abroad much of its own low-enriched uranium (LEU) stock -- its crucial strategic asset in talks with world powers -- as the proposal calls for..."
US official resigns over Afghan war: "my resignation is based not upon how we are pursuing this war, but why and to what end." U.S. Ambassador Karl W. Eikenberry brought him to Kabul and offered him a job on his senior embassy staff. Hoh declined. From there, he was flown home for a face-to-face meeting with Richard C. Holbrooke, the administration's special representative for Afghanistan and Pakistan. "We took his letter very seriously, because he was a good officer," Holbrooke said in an interview. "We all thought that given how serious his letter was, how much commitment there was, and his prior track record, we should pay close attention to him." While he did not share Hoh's view that the war "wasn't worth the fight," Holbrooke said, "I agreed with much of his analysis." He asked Hoh to join his team in Washington, saying that "if he really wanted to affect policy and help reduce the cost of the war on lives and treasure," why not be "inside the building, rather than outside, where you can get a lot of attention but you won't have the same political impact?" Hoh accepted the argument and the job, but changed his mind a week later. "I recognize the career implications, but it wasn't the right thing to do," he said in an interview Friday, two days after his resignation became final. "I'm not some peacenik, pot-smoking hippie who wants everyone to be in love," Hoh said. Although he said his time in Zabul was the "second-best job I've ever had," his dominant experience is from the Marines, where many of his closest friends still serve. 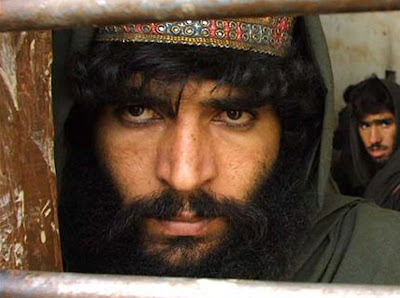 "There are plenty of dudes who need to be killed," ..he said of al-Qaeda and the Taliban. But many Afghans, he wrote in his resignation letter, are fighting the United States largely because its troops are there -- a growing military presence in villages and valleys where outsiders, including other Afghans, are not welcome and where the corrupt, U.S.-backed national government is rejected. While the Taliban is a malign presence, and Pakistan-based al-Qaeda needs to be confronted, he said, the United States is asking its troops to die in Afghanistan for what is essentially a far-off civil war....."
......the Russian issue now fully intersects with the Iranian issue. On a deeper level, Russia once again is shaping up to be a major challenge to U.S. national interests. Russia fears (accurately) that a leading goal of American foreign policy is to prevent the return of Russia as a major power. At present, however, the Americans lack the free hand needed to halt Russia's return to prominence as a result of commitments in Afghanistan and Iraq. The Kremlin inner circle understands this divergence between goal and capacity all too well, and has been working to keep the Americans as busy as possible elsewhere. The question of why the United States is pushing this hard at the present time remains. Talks with the Iranians are under way; ..... the Iranians don't feel terribly pressured by the threat of sanctions and don't take threats of attack very seriously. At least with regard to the sanctions, the Russians have everything to do with Iran's blase attitude. The American decision to threaten Russia might simply have been a last-ditch attempt to force Tehran's hand now that conciliation seems to have failed. It isn't likely to work, because for the time being Russia has the upper hand in the former Soviet Union, and the Americans and their allies -- motivated as they may be -- do not have the best cards to play. The other explanation might be that the White House wanted to let Iran know that the Americans don't need Russia to deal with Iran. The threats to Russia might infuriate it, but the Kremlin is unlikely to feel much in the form of clear and present dangers. On the other hand, blasting the Russians the way Biden did might force the Iranians to reconsider their hand. After all, if the Americans are no longer thinking of the Russians as part of the solution, this indicates that the Americans are about to give up on diplomacy and sanctions. And that means the United States must choose between accepting an Iranian bomb or employing the military option. And this leaves the international system with two outcomes. First, by publicly ending attempts to secure Russian help, Biden might be trying to get the Iranians to take American threats seriously. And second, by directly challenging the Russians on their home turf, the United States will be making the borderlands between Western Europe and Russia a very exciting place." Lebanese groups have gone through multiple policy shifts that have swiftly changed relations between parties, movements and political figures from a state of animosity to reconciliation and alliance, and vice versa. In all cases, the people are inclined to follow their leaders, the zua’ama, because the public “follows the religion of its kings”, as the saying goes. A change in relations between the Free Patriotic Movement (FPM) and Hezbollah marked a significant and essential change in the Lebanese political scene. Relations between the two sides shifted from a state of enmity to an alliance consolidated by a memorandum of understanding signed on February 6, 2006. In the August 2009 issue, The Monthly published past and present positions by Michel Aoun toward Hezbollah. 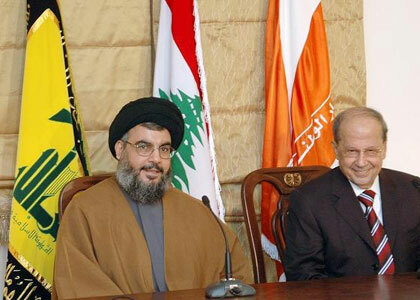 It will review in this issue Hezbollah’s stances toward Aoun. * A solution to the case of Lebanese nationals in Israeli custody requires perseverance to achieve their return, taking into consideration politics, security and livelihood. by any group to fight the occupation of their land.